Beyond finding cats homes, Tree House’s goal is to keep pets and pet parents together. Often individuals relinquish their pets due to behavior issues or financial hardship. 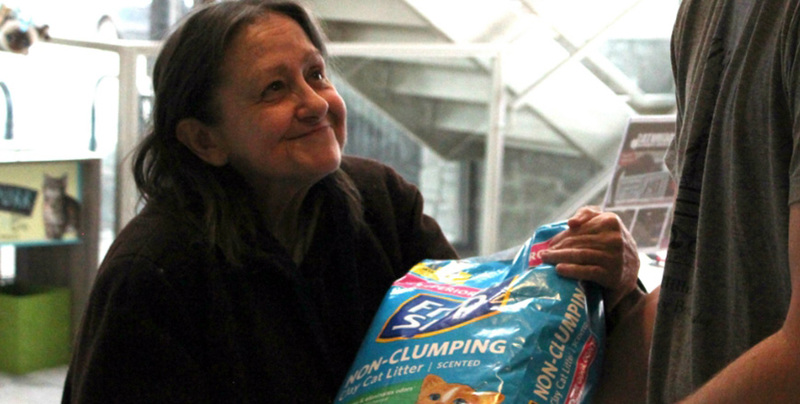 Thanks to generous donations, Tree House’s Pet Food Pantry provides free, supplemental cat and dog food to pet parents facing financial challenges. We also assist pet parents through our Cat Behavior Hotline. From litter box issues to introducing a cat to a new home, we often find our role is to help humans understand a cat’s way of communicating. Our ultimate goal is creating a happy and healthy environment for cats and their people and aiding the cat-human bond.